Zeb Bangash is one of the busiest, most prolific, well-traveled female vocalists in Pakistan today. She’s also one of the most down-to-earth, which is why many people do not know the extent of her achievements. She is, of course, currently in the limelight again with her latest song for this year’s Coke Studio, the lilting ‘Aja Re Moray Saiyaan’, sung alongside Noori. 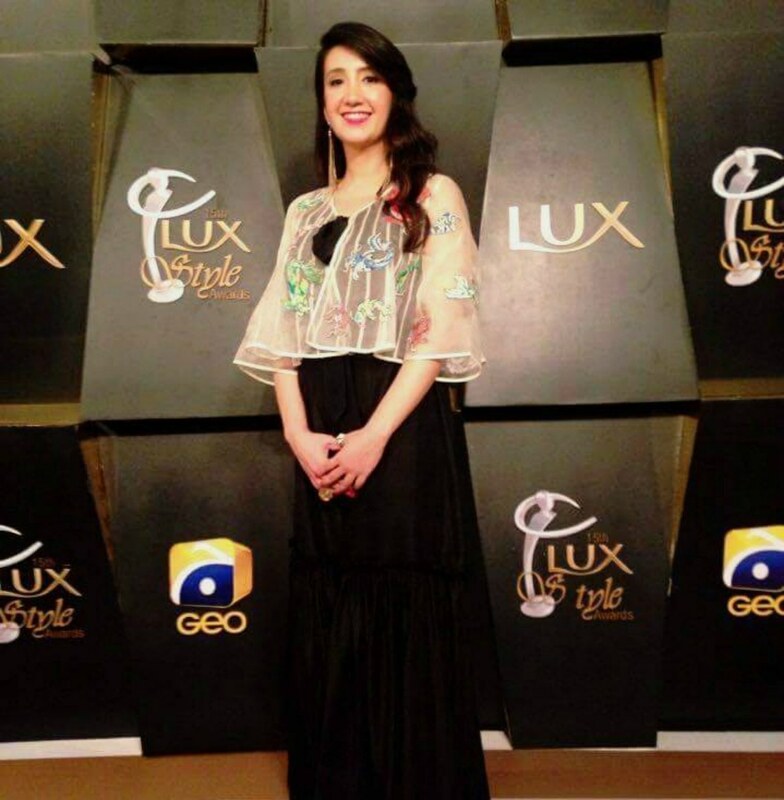 She also recently walked the Lux Style Awards (LSAs) stage, accepting the award for Best Original Soundtrack for the TV drama Diyar-e-Dil. Although the accolade also belonged to music director, Shani Arshad, Zeb’s haunting female vocals played an irrefutable part in making the drama’s title track memorable. One is also familiar with her songs for Coke Studio through the years and her earlier hit songs as part of the duo Zeb and Haniya. 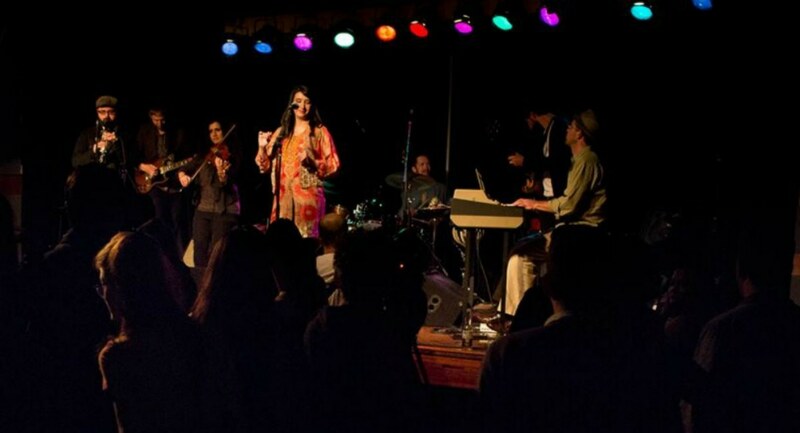 It is not very well-known, though, that every year Zeb tours the US with her band Sandaraa. Her hit songs for Bollywood are popular but Zeb has never made the extra effort to promote them on social media. She’s worked with the likes of A.R. Rehman, has sung songs in around 10 different languages, tried out music production to some extent with Asim Raza’s Ho Mann Jahaan and is just about to dabble into music direction for an upcoming Indian movie. And yet, Zeb hardly acts like the star that she is. She is happy maintaining a low-profile and prefers that people come up to her and tell her how her music has touched them rather than get mobbed, celebrity-style. “Being a celebrity was never an ambition for me. I do what I do because I love music and always have,” she says. Her ongoing, perpetual music journey leaves her with no time to click an image and post it on Instagram or maintain a Facebook page. What she does manage to do is be part of umpteen Facebook pages – Baloch and Pashtun fan pages – in the search for indigenous tunes. “I’m friends with all sorts of people on Facebook and Whatsapp while I search for new melodies,” she laughs. Q: You’ve just been part of the winning team for Best Original Soundtrack at the LSAs. It’s your first Luxie and some would say that you should have won it a long time ago, considering your consistent contributions to the local music scene. It really doesn’t matter that I didn’t win earlier – but it felt great when I did! So many of my friends from the musical fraternity were there with me and to have that moment, and to share it with them, felt wonderful. Q: Aside from the LSAs, you’re also making waves with the just-released Coke Studio Aja Re Moray Saiyaan. You have long been a part of the Studio ensemble. How was the experience this time, when the show was handed over to different producers? 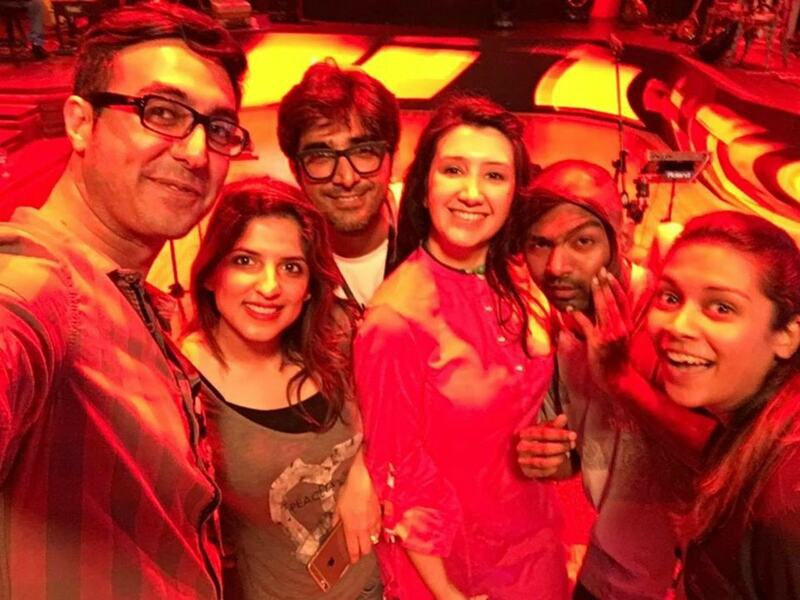 Coke Studio has always been special. ‘Aja Re Moray Saiyaan’ is an original, produced by Noori, and my other single for the show is a well-known Pashtun song, produced by Faakhir. It was fun, working with different musical perspectives and I applaud Strings for being generous enough to share their platform with other musicians. It speaks volumes about their maturity and confidence. Also, their ‘Aye Rah-e-Haq Ke Shaheedo’ has kicked off the season to an amazing start. The poetry, the melody and the blend of different voices is beautiful. Q: One also notices how you’re making style statements on the CS stage and beyond, dabbling with different looks and designer wear. (Laughs) When you’re representing your country to the world, you obviously want to look good. I enjoy it but it does take time and planning to decide on wardrobe and styles. I travel a lot and often my schedule is so busy that I just don’t have time to consider style statements. Q: One of your frequent destinations is India, of course, where you’ve sung for several illustrious projects. How has your experience been of working in Bollywood’s competitive, congested world? I really haven’t felt the competitiveness at all. I had never auditioned or sent my portfolio to India in order to get work. Nor have I networked at celebrity parties. The offers came on their own. It was a learning experience to work with Amit Trivedi and Shantanu Moitra; with A.R. Rahman I felt completely overwhelmed. The Indians are very appreciative of the Urdu language and it is impressive how they have maintained a separate platform for their traditional music which works parallel to commercial cinematic songs. Such platforms also exist in Bangladesh and Sri Lanka. Q. As opposed to Pakistan? Yes, it’s sad that we don’t have a platform for our traditional musicians. One keeps hearing about giving a platform to the youth which is all well and good but that isn’t necessarily the same as nurturing music. The youth aren’t longstanding practitioners of music nor are they in touch with the traditions of our region. We have a heritage that is rich in music that is extremely sophisticated and distinctive. These traditions need to be given center stage and musicians need to be lauded regardless of their age, what they’re wearing, where they are from and whether they can speak English. My American professor at NYU got me acquainted with Balochi music. That’s just sad. How can we hold on to our cultural identity if we don’t highlight it for our young? Q: Do you think traditional music gets sidelined by more commercial songs because the latter are more likely to become hits and are, therefore, more lucrative? I believe that there is no such thing as a ‘hit’. Music is not a competitive sport and if we get dictated by what works and what doesn’t work in the market, we’ll lose out on creativity. My Ustaad performed internationally and the concert hall was packed full of white people. And yet, he hardly receives the same adulation in his own home country. It’s ironic because ultimately, we’ll stop creating even commercial hits. The best, most unforgettable, timeless melodies have their roots in tradition and ultimately, they are also the most lucrative. Q: Is your brand Sandaraa your way of paying homage to musical traditions from around the world? Sandaraa is definitely an intersection of different traditions but put together, the musical threads are very familiar. It’s been an entirely serendipitous journey. My band-mate Michael Winograd is a Boston-based clarinet player and we met at a gig by chance and hit it off. It led to the formation of a band that spans two continents and thereby, taps into an extensive reservoir of world music. Our band is curated in a way that the songs emerge almost organically. We have a violinist from Turkey and an accordionist who specialises in Eastern European folk music. We’ve recently put classic Urdu poetry to music and I am excited about singing it out to a live audience. Q. You regularly tour with Sandaraa in the US. Has it gained a mass appeal or does it cater to a niche market that appreciates folk music? We have all sorts of people who come to our concerts. They may not understand the words, but they connect well with the music. We spend ages working the material out, and then we rehearse it and play it out to live audiences constantly. It is only then, eventually, that we go to a studio and record the music. All the members of Sandaraa are popular musicians in their own fields and our efforts with the band are truly labours of love. I think this reflects well in our live acts. I don’t believe that there is only a certain kind of music that has mass appeal. In fact, folk music is always identifiable to so many different people. I remember singing Bibi Sanam Janem in Chennai and a Pandit later came up to me and told me that I had sung their song. Apparently, there was some Vedic significance to the lyrics. Q: Have you considered bringing Sandaraa to Pakistan? I would love to and one day I will. Our first EP is uploaded on the online portal patari.pk and I am particularly happy with how well it has resonated with Pakistani listeners. I’ll be touring with the band in two months and I hope to at least record some of our performances or make videos and release them on TV here, as well as on the internet. Q: You have worked extensively and yet, one doesn’t see you traipsing the usual route that musicians tend to follow – playing celebrity judge at Indian singing competitions or seen hobnobbing at ‘it’ parties. Don’t you think being more in the limelight and networking would help build your career further? I don’t like parties and I think music is not a competitive sport. Turning it into a competition demeans it and demoralises young people who may have potential. Regardless of my preferences, I don’t believe that there is a certain path that one must tread in order to gain success. These are creative times and everyone can pave their own way. All I’ve done is follow my heart and my instincts – I think I’m doing just fine!